This week's menu is done for you! 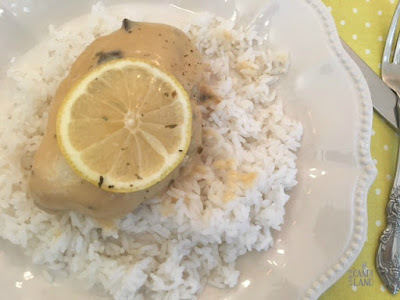 We have 6 tasty dinner recipes and a fun sweet treat for the weekend! It's time for another weekly menu. To tell you the truth, I feel like I just wrote the last weekly meal plan. How did a week pass already? No matter, it somehow has and it is time to get ready for the next one! 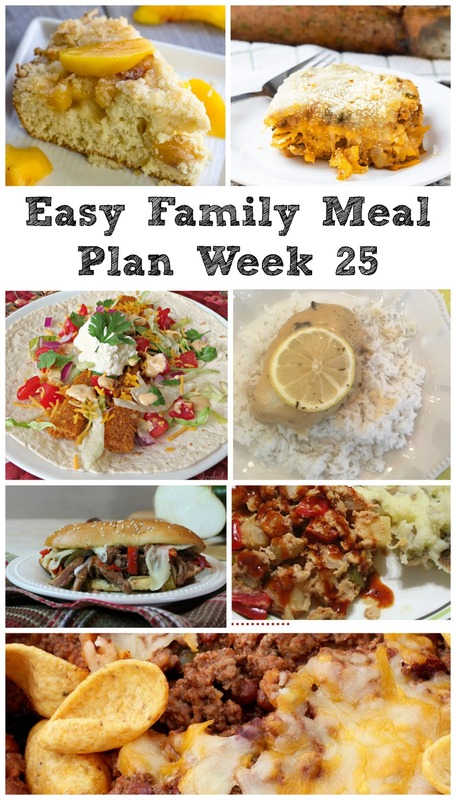 This week's menu has great variety and I can't wait to try it all! Mondays are hard enough as it is, so lets keep dinner easy. This No Fuss 5 Ingredient Lemon Crock Pot Chicken from A Day in Candiland is just the thing! 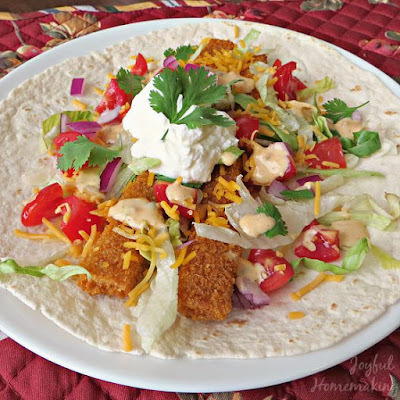 Tuesday calls for tacos, so we'll enjoy these Easy Fish Tacos from Joyful Homemaking. 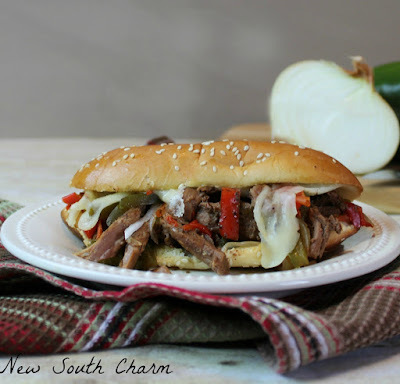 Next up are some Slow Cooker Philly Cheeseteaks from New South Charm. Doesn't that look good? 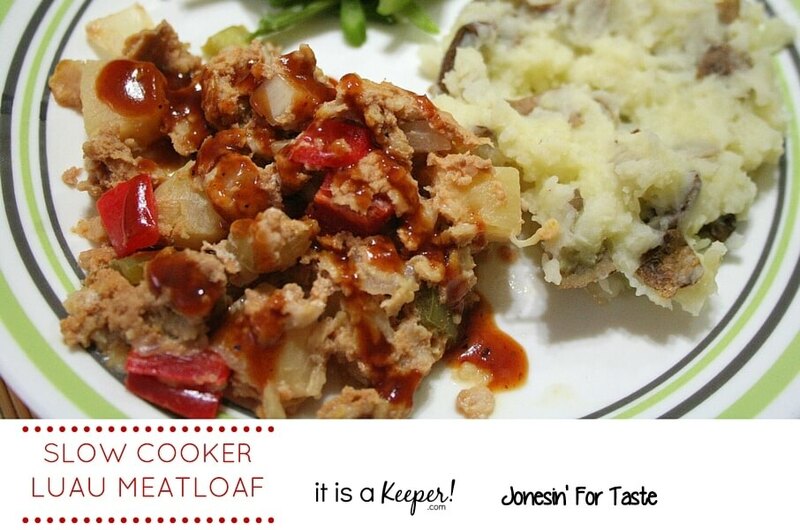 While the slow cooker is out, load it up with this Slow Cooker Luau Meatloaf from Jonesin' For Taste. As the weekend rolls around we can take a second and step it up a notch. 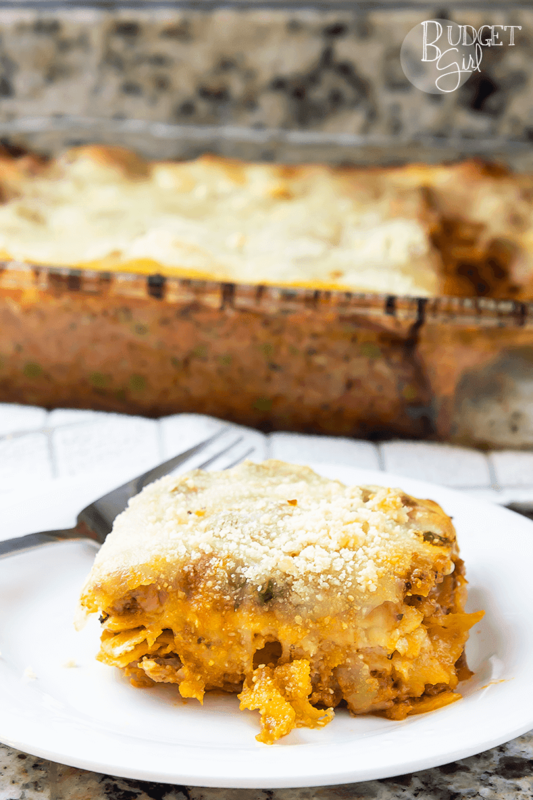 This Sicilian Lasagna with Peas and Sausage from Tastefully Eclectic is worth the effort! And while we are celebrating the weekend, we might as well celebrate the peach harvest too! 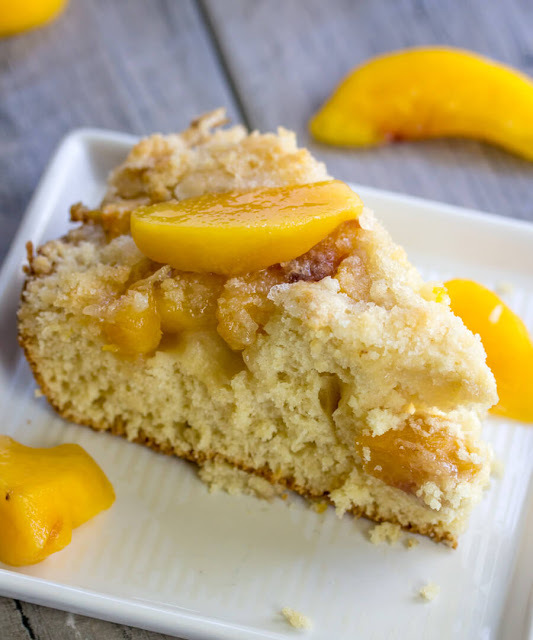 This Peach Breakfast Cake is one of our favorites! It is simple, delicious and make s a fun breakfast item or simple dessert! 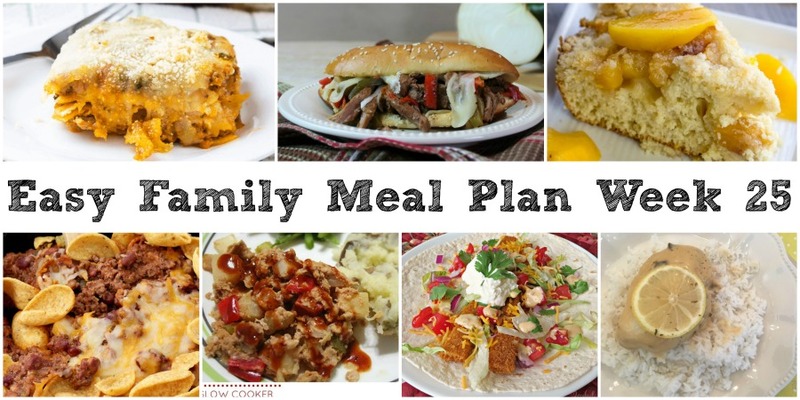 Hi Carlee, thanks for the great recipe ideas and the meal plan for the week. 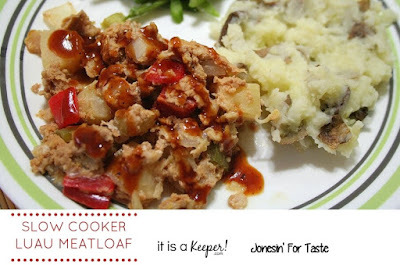 I would love to try out that crock pot meatloaf recipe. Doesn't that sound like fun? Thanks, Julie!